Mission. The Extensus Alumni Network is founded to preserve and strengthen the social connection between (former) members of the Amsterdam Honours Programme. Vision. The Extensus Alumni Network facilitates interesting and fun ways to make connections among EAN members. One of those ways will be through hosting annual reunions and get-togethers, while another will be online through LinkedIn and Facebook. The board of the Extensus Alumni Network consists of former Honours Programme students from the VU University Amsterdam and the University of Amsterdam. They are very motivated to create a strong network of Honours alumni. The board members combine ambitious master programmes or a professional career with the board activities, sometimes even from abroad. We owe previous members of the board many thanks for building the Extensus Alumni Network: Winnie van Dijk, Leander Peters, Peter Rutgers, Sem Aronson, Dajana Zubrinic, Channah Herschberg, Lisa Aarsman, Nikki van Dam, Rory Deen, Emilie Holtbach, Vasuki Sathananthan, Ada Sneekes and Jonas Voorzanger. All EAN members participated in the Honours Programme of the VU, UvA or AUC. Most EAN members were once members of Extensus, the Study Association of the Honours Programme. It came into existence as a student initiative in September 2009. Since 2009 they have been engaged in various efforts to have participants of the Amsterdam Honours Programme benefit more from being a part of this Amsterdam-wide community of excellent students. Initially only open to those honours students studying at the VU, Extensus expanded to the UvA and AUC in 2011. Interested in what Extensus is doing now? Visit the Extensus website. By participating in a university’s Honours Programme, the students are required to maintain a grade point average during their bachelor of higher than a 7.5 (out of 10), and are to pass all their courses at once, without having to resit any exam. All EAN members are included in Amsterdam’s top 5% students and are high potentials. Most of our members are ambitious MSc students, PhD candidates and young professionals that participated in prestigious master programs and research masters in the Netherlands or abroad. EAN caters to master students and young professionals from all fields of study, such as Engineering, Economics, Law and Organizational studies. 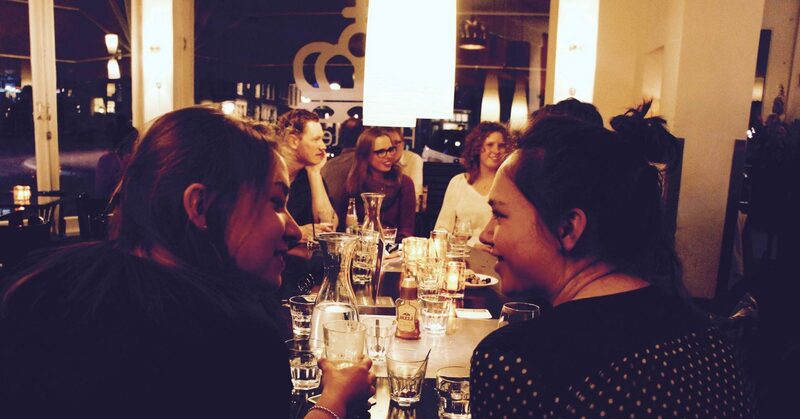 EAN brings together this special, interdisciplinary group of alumni through the hosting of social, academic and career events, hereby effectively extending the benefits of being part of this Amsterdam Honours community. We hope you consider aligning the interests of your organization with those of EAN. Please contact EAN for more information. The LinkedIn pages provides our members with insight into other member’s careers. It also enables them to contact each other professionally. Benefit from the Extensus Alumni Network. Join the EAN LinkedIn group. We use Facebook for our day-to-day communication. Join the EAN Facebook. You can also reach us by sending an email to alumni@extensus.org. Feel free to contact us! If you want to cancel your membership, send an e-mail to alumni@extensus.org. You can cancel your yearly membership until December 1st (the EAN year starts in September, just like the university year). If you cancel after December 1st, you are still obliged to pay the membership fee for that year. You can view our terms and conditions here and our Privacy Statement here. Copyright © 2019 Extensus Alumni Network. Powered by WordPress. Designed by myThem.es.